Dark Horse has commented on the transition to Marvel and the future responsibilities of Star Wars editor Randy Stradley. On January 3, Disney's Lucasfilm and Marvel Entertainment announced that it would be taking over publishing Star Wars comics starting in 2015. The announcement left fans of Dark Horse Comics' Star Wars titles wondering what would happen to current ongoing titles and the existing back catalog. Dark Horse has responded to some questions about the transition posed by Comics Alliance. When asked about the publishing rights to its back catalog, Dark Horse states, "All rights go to Marvel." Dark Horse Digital purchases made before 2015 will remain accessible, but Dark Horse will stop producing print copies of its series. Marvel has declined early comment, so whether any of the Dark Horse series will see reprints or new collections is unknown. As for ongoing stories started at Dark Horse, the publisher will use its final year with the licence to conclude some series, but "only those stories initiated by Dark Horse." On whether Marvel might continue any existing stories, Dark Horse could only say, "We have no idea." Dark Horse has confirmed that V.P. of Publishing and Star Wars editor Randy Stradley will remain with the publisher after 2014. His new responsibilities at Dark Horse will be announced soon. Stradley has commented on Facebook about his expectations for the Marvel transition. "With a new film scheduled every year, and a new television series, it is likely that there will be a lot of comics pages devoted to adaptations and direct spin-off stories in support of the films and TV shows," writes Stradley. "That's not where my interests lie, and it has never been Dark Horse's strong suit." 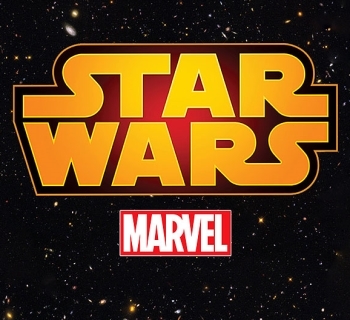 Marvel was the first to publish Star Wars comic books, starting with Star Wars #1 in 1977. Dark Horse Comics took over Star Wars comic books license in 1991, and has published comics in the Star Wars universe for more than 20 years. Disney acquired Marvel in 2009, and Luscasfilm in 2012. Star Wars Episode VII is set for a 2015 release.